Very eggciting!! 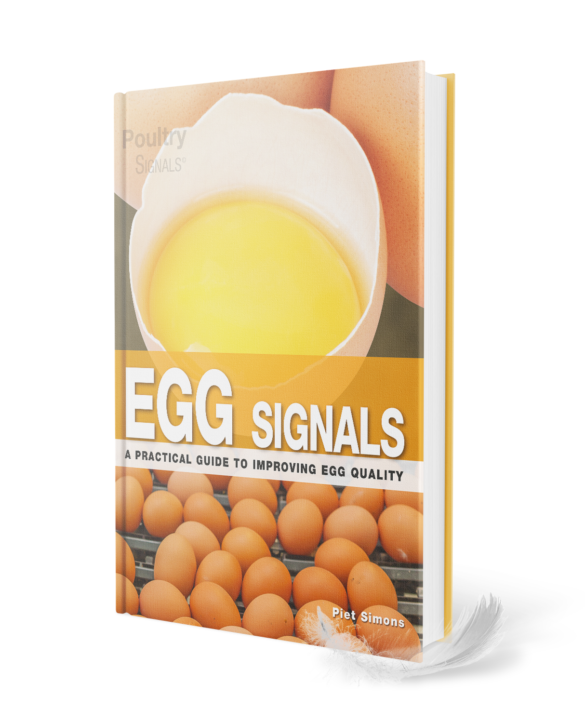 That was my first thought after I had seen the invitation to become the first person to receive the book Egg Signals. Apparently one of the eggstraordinary privileges you can have being the Chairman of the International Egg Commission, the global organization of producers and traders of eggs and egg products. Until now I have seen many books about eggs, all covering a certain aspect of breeding, production, handling or processing. But now I can do away with all these different publications, because Egg Signals covers it all. And what an interesting book it has become. And that is no wonder, because a high quality product like an egg deserves a high quality book. Worldwide the egg has made an impressive come back. No wonder, because eggs are an eggcellent source of high quality protein, rich in amino acids, calcium, sodium, iodine, selenium, choline and vitamins A, B, D & E. Nowadays nutritionists describe eggs as a large vitamin pill – a mineral cocktail, they contain all the essential vitamins and minerals required for a healthy diet in a 100% natural package. In fact, eggs contain the highest quality protein you can buy. So what can you do to lower the risk of heart disease, lower the risk of breast cancer and the risk of age related eye diseases such as cataracts and macular degeneration, while at the same time reduce muscle loss and promote healthy growth and aging? The answer is incredibly simple, and completely natural; just eat eggs!! Health organisations around the world are actively encouraging people to eat more eggs to ensure that they benefit from nature’s natural vitamin pill. The Australian Heart Foundation recommends that people eat six eggs a week. In Canada eggs carry the country’s health check mark, and the Irish Heart Foundation has coined the phrase, an egg a day is ok.
Also from an environmental point of view eating eggs is very sustainable. Eggs have the lowest carbon footprint of all animal protein sources. In our challenge to feed the fast growing world population in an affordable and sustainable way eggs are a perfect solution.